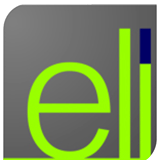 English Language Institute (ELI) Makassar requires qualified English Teachers. Experienced teachers holding bachelor or master degree. Fluent English both spoken and writtten. Ready to teach at campus as extracurricular teacher. Sumber situs lowongan kerja: English Language Institute, semoga dapat bermanfaat.